Learn to safely make fireworks at home that really work. Advanced Homemade Fireworks covers in detail how to make skyrockets, pinwheels, roman candles, aerial bomb shells, fountains, cherry bombs, and M-80’s. 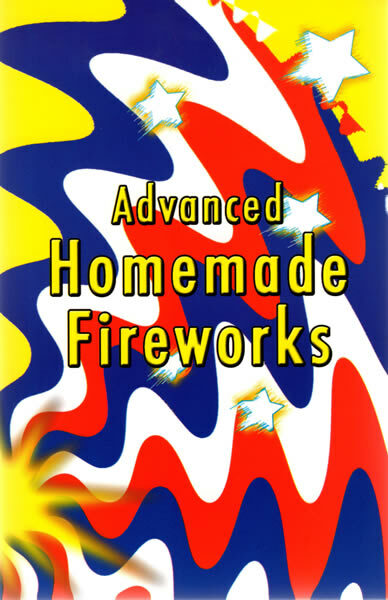 Complete explanation of each chemical and its use makes the manufacture of homemade fireworks easy for even the novice. Learn how to make the cases, mix the powders, and assemble them both into fireworks that are really worthy of any Fourth of July display. 5-1/2" x 8-1/2", 86 pages, softcover.